When renovating your kitchen, you may find that it causes a significant disturbance in your life. A disturbance that can prove to be inconvenient, messy, and annoying. 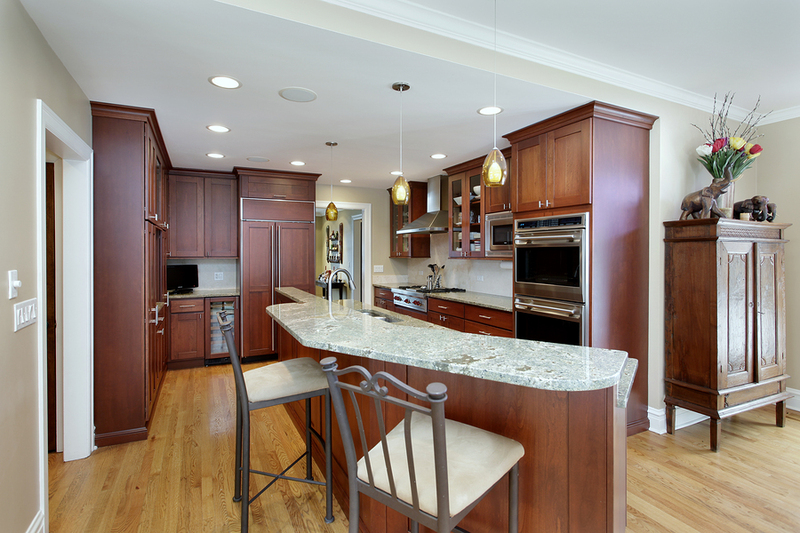 However, decluttering before the start of your kitchen renovation may prove to be helpful. When you declutter, you will also be removing the items you use on a daily basis, so you will be able to find exactly what you need when you need it. Once those everyday items are sorted out and put in a safe area, you can start weeding through everything else to determine whether those items are useful or not. Once you have nailed down the sorting process, you can then begin to pull everything out of the cabinets and each nook and cranny of the kitchen. Make sure that you box everything up using your sorting system and make sure each box is labeled clearly. For example, you may have your everyday essentials box as well as a box for donation. Label each, so there is no confusion later on in the process. Another tip when it comes to decluttering the kitchen is to take a close look at each item. How often do you really use the item? Is it something you absolutely have to have or is it something that isn’t much of a necessity? How many gravy boats and punch bowls can one person own? Another consideration when decluttering is remembering the flow of the kitchen. Kitchen renovation time is the perfect opportunity to reconsider the layout and flow of the kitchen to ensure that it is right for you and your needs. Decide where you will be putting the dishes and other kitchen items and maybe place baking items near the oven to maintain more of a flow in the space while you are cooking and cleaning. With a few of these simple tricks for decluttering under your belt, you will be well on your way to organizing your newly renovated kitchen so that it is a suitable and functional space for you and your family. For more ideas on the planning and layout of your kitchen renovation, contact us at Cardigan today.